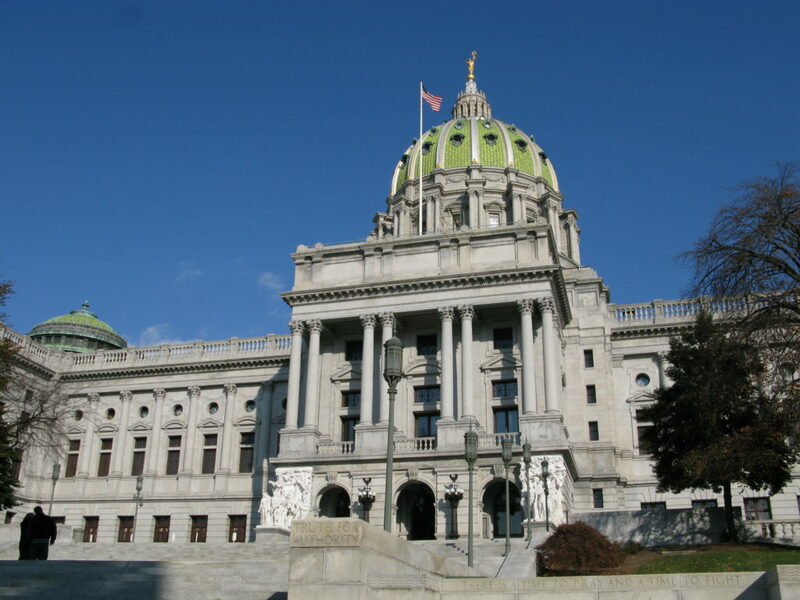 There are number of vision zero related bills either introduced or about to be introduced in the PA General Assembly. Below is an up to date summary. You can look up your state legislator and senator and call or email them to ask that they co-sponsor the bills. RADAR for Local Law Enforcement – Senator Scavello (R-40) plans to introduce a bill to permit local police to use radar for monitoring traffic speed. In Pennsylvania, only State Police are currently authorized to use radar, making the Commonwealth the only state that does not allow municipalities to use radar for speed enforcement. We believe that the police departments in the Greater Philadelphia region need this tool to enforce speed limits and save lives. In addition to the Bicycle Coalition of Greater Philadelphia and Bike Pittsburgh, this legislation is supported by the PA Chiefs of Police Association, PA Municipal League, Pennsylvania State Association of Boroughs, PA Association of Township Commissioners, PA State Association of Township Supervisors and the PA State Mayors Association. Hand Held Cell Phone Ban. Rep. Rosemary Brown (R-189) is sponsoring HB37 to prohibit the use of hand-held cellular phones (hands free cell phones are permissible) while operating a motor vehicle on the roadways of the Commonwealth. Vulnerable Highway User Protections. Representative Brett Miller (R-41) plans to introduce a bill to define the term “Vulnerable Highway User” and increase the penalties for a person convicted of careless driving that results in either the death, serious bodily injury, or bodily injury of a Vulnerable Highway User. Currently, the state’s penalty for killing a pedestrian or bicyclist is $500. Restore PA – This Governor Wolf-led initiative would provide significant new funding to increase opportunities for reliable modes of transportation invest in state road repair and maintenance, and public transit system capital projects and would make funding available for trails and bicycle/pedestrian facilities.